We have a huge selection of Kia vehicles that you’ll have a hard time finding anywhere else. These are all the Kia vehicles that you have always wanted to drive including the Optima, Soul, and Sorento. Get behind the wheel of one of our great vehicles today, and you will never regret it. Our sales team is non-commissioned. They do not take a cut off the top of the cars they sell. This allows them to focus on getting you the right vehicles as opposed to the most expensive vehicle. Speaking of pricing, we put our lowest price upfront so you don’t have to haggle or negotiate. Let our team get you into the perfect vehicle. We want your Kia owning experience to be as amazing as it can be. We are here for you long after you buy your vehicle. We can perform service and provide parts for your Kia right here. Our team has the experience and the training that they need to operate under your hood. They can do everything from routine maintenance to major service and repair work. That means if you need an oil change, then our team is here to help you out. We have an honest service center, and we can take care of anything that you may need. When it comes to parts for your Kia, we trust only in genuine OEM parts. That means you get the same parts that your Kia was made with. 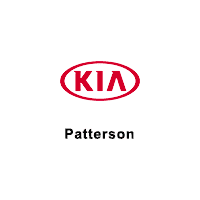 Let Patterson Kia provide you with all the parts and service that you need in the Wichita Falls area.